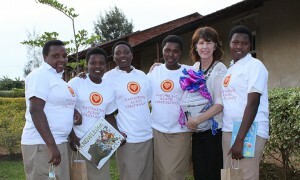 The first large group of donor-sponsored Mothering Across Continents scholars in Rwanda is finishing high school! 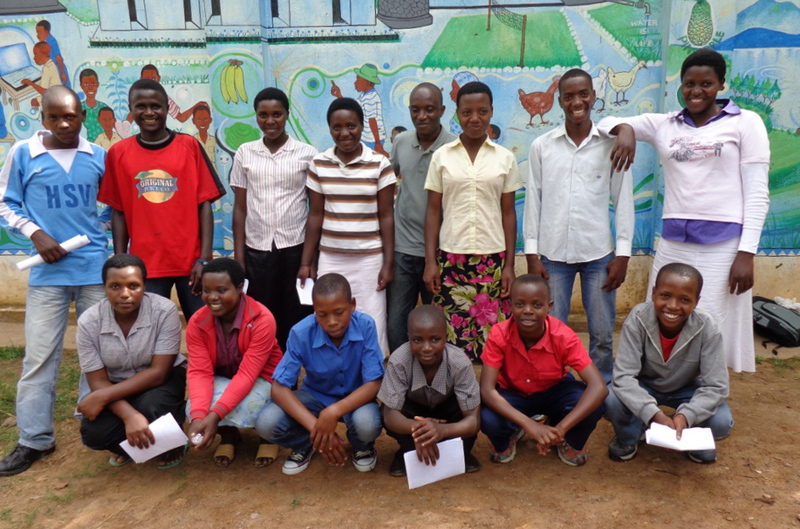 Ten of 30 “Mentoring Mwiko” scholars are studying for national exams and anticipating graduation later this month. 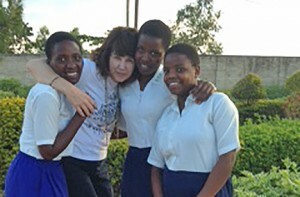 These three incredible young women are completing studies at the school of excellence Groupe Scolaire Notre Dame de Lourdes, an amazing environment with 800 students; a dedication to science, technology, engineering and math (STEM); and a working farm to meet student meal and nutrition needs. 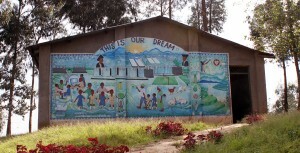 It was only eight years ago that a student-inspired mural called “This is Our Dream” was painted on Mwiko Primary School, the place from which nearly all of our current scholars came. 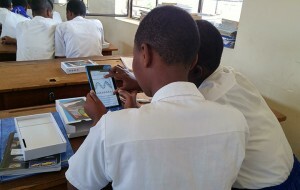 This rural school of 592 students near enormous volcanoes and lots of tourism in the northern province of Rwanda has extremely limited resources. It had previously never had a merit-based scholarship program. Continuing an education after 6th grade (P6) typically means attending what’s called a “9-years Basic school” by walking 50 minutes one way and 50 minutes back each day. Instead, the 6th through 12th grade (S1-S6) “journey” for these scholars has included clean, comfortable boarding schools; mentoring for both students and parents/guardians; and participation in Pivot Academy, an innovative STEM-based program using Tablets that we piloted with high schools. The journey’s not over by any means – they’re just approaching a monumental milestone. Guided by our Country Director Jackson Vugayabago, all of the soon-to-graduate students toured campuses in capital city Kigali, including Kepler University and Akilah Institute. After they finish exams at the end of November, the new high school graduates return to home village Mwiko, await exam results, and work toward college applications or other life and career options. We’re holding our collective breath and crossing fingers. This first big class of merit scholar graduates will set a tone for brothers and sisters of what’s possible when you dream big and work hard. This entry was posted in General, Mentoring Mwiko, Rwanda and tagged Dream, education, girls, literacy, Mentoring Mwiko, Mwiko, Pivot Academy, Rwanda, Scholarship on November 3, 2017 by Patricia Shafer.